Spend the next 2 days exploring Darwin at your own leisure. 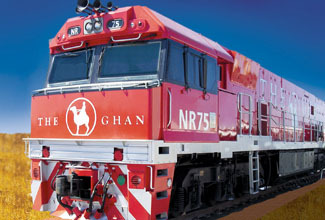 This morning you will be personally met at your hotel by a DISCOVER AUSTRALIA representative and transferred from your hotel to the Ghan railway station to begin your journey to Adelaide. As you arrive into Adelaide you can feel the history and culture of 'The City of Churches'. You will be personally met by a DISCOVER AUSTRALIA representative and transferred from the Ghan railway station on arrival in Adelaide to your Adelaide hotel. You can relax and use the rest of the day to explore your hotel and its facilities, perhaps take a stroll around the neighbourhood and central Adelaide. Meet and Greet Personalised Rail Transfer, 2 Nights Gold Service Cabin on the Ghan (1 Night ex Alice Springs), 2 Breakfasts, 3 Lunches, 2 Dinners, Luxury Alice Springs Coach Tour, Luxury Katherine Gorge Tour (Darwin to Adelaide customers only), Meet and Greet Personalised Rail Transfer, Overnight Adelaide Accommodation. Spend the next two days exploring Adelaide at your own leisure. Visit the Barossa Valley, the seaside suburb of Glenelg or Victor Harbor. The choice is yours. 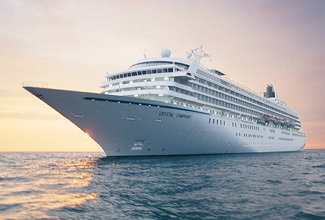 Today you will be personally met by a DISCOVER AUSTRALIA representative and transferred from your central Adelaide hotel to the Port Adelaide Passenger Cruise Terminal to board the beautiful Astor. Relax aboard the Astor while you continue your cruise backto Tasmania and make use of the on board facilities and day time activities. Choose from a range of optional shore excursion to explore this beautiful city or explore Hobart on your own. The choice is yours. If you do not wish to disembark, you can choose to stay on board make use of the wide range of facilities aboard the Astor. Choose from a range of optional shore excursion to explore this beautiful city. If you do not wish to disembark, you can choose to stay on board make use of the wide range of facilities aboard the Astor. Relax aboard the Astor while you cruise back to Adelaide and make use of the on board facilities and day time activities. Arrive back into Adelaide and be personally met at the cruise liner terminal by a DISCOVER AUSTRALIA representative and transferred to the airport for your flight home. You have 3 choices of accommodation in Darwin and Adelaide. Our "Good Standard" central Darwin & Adelaide hotels have great facilities, a comfortable room and friendly service (typically 3.5 stars). Alternatively, why not treat yourself? The "Deluxe" hotels have superior facilities, stylish room and first class service (typically 4 stars). The “Luxury” hotels are upscale with a more luxurious feel for the discerning traveller and great for celebrating an anniversary (typically 5 stars). You will be personally met by a DISCOVER AUSTRALIA representative and transferred from the airport on arrival in Darwin to your Darwin hotel, from your hotel to the railway station to board the Ghan, from the railway station on arrival in Adelaide to your hotel, from your Adelaide hotel to the Port Adelaide Passenger Cruise Terminal to board the Astor and from Port Adelaide Passenger Cruise Terminal on arrival back in Adelaide to the airport for your flight home. You’ll receive the FREE DISCOVER AUSTRALIA Bonus Voucher Book that includes $500 value of discounts and bonuses throughout Darwin, the NT, Adelaide and SA at shops, restaurants attractions, wineries etc. 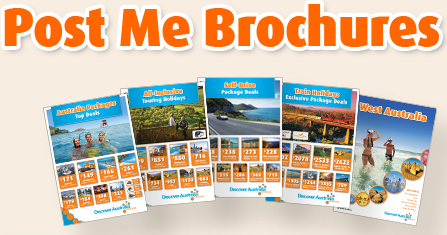 It’s a great way to save even more on your Northern Territory and South Australia holiday. The Ghan Darwin to Adelaide with Astor Tasmania Cruise is very popular. Many dates book out well in advance, please book soon.